One of the most popular (addictive too) games PUBG brings the new update for the fans. The new PUBG night mode and a patch will soon be available. The recent Tease by PUBG’s creative director on Twitter confirms the long-awaited Night mode in PUBG Vikendi Map. 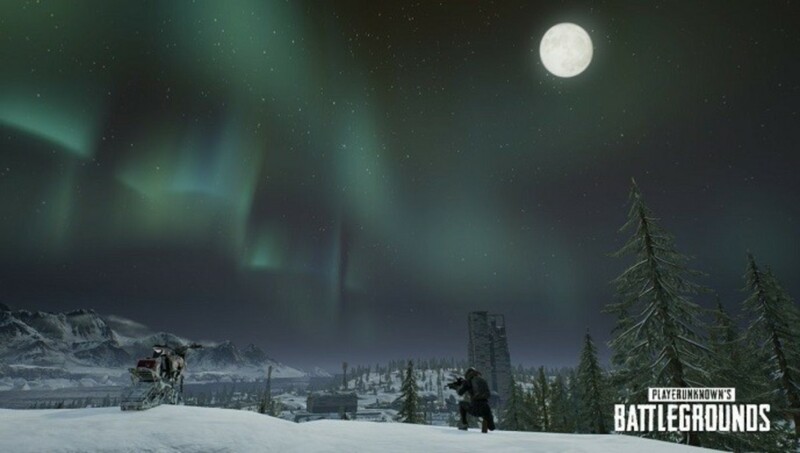 The tweet features an image of Vikendi map at night with ‘aurora borealis’ (known as polar lights). However, The image has already been shown in the gameplay trailer. The new update could also be called ‘Moonlight Mode’, as the post on Reddit confirms. It is the first time that the latest PUBG map is available for Console players. This means the updates for PS4 and Xbox will not only add the new map but all the new weapons, vehicle and more. Although The Vikendi Snow Map released in December 2018 for PC. The patch will come to the PUBG Test Servers on the steam in the next week. It means you can access the Test servers to check out the New map with the Dark mode. The new patch will bring the Snowbike for the players to move around the map easily in the snow. “It’s not pitch black, it’s not the deep.. deep of night. But don’t get me wrong, it’s dark and significantly changes gameplay. It’s a pretty awesome experience, really enjoyed testing it and I think you’re all going to love it”, adds the PUBG community manager. The new additions for Vikendi will most likely arrive on PUBG Mobile soon. The mobile version of PUBG is also slated to receive a big update, bringing zombies to the game.